NOSES WENT out of joint and knickers got in a twist when Israel's new deputy foreign minister delivered her inaugural speech to the Jewish state's diplomatic corps. Tzipi Hotovely, Israel's new deputy foreign minister: "It is important to say that this country is ours, all of it. We didn't come here to apologize for that." "We need to get back to the basic truth of our right to this land," said Tzipi Hotovely, who is running the foreign ministry's day-to-day operations, while Prime Minister Benjamin Netanyahu retains the title of foreign minister. The land of Israel belongs to the Jewish people, she declared, and their claim to it is as old as the Bible. "It's important to say this" when making Israel's case before the world, and not to focus solely on Israel's security interests. Of course security is a profound concern, Hotovely observed, but arguments grounded in justice, morality, and deep historical rights are stronger. She even quoted the medieval Jewish sage Rashi, who wrote that Genesis opens with God's creation of the world to preempt any subsequent charge that the Jewish claim to the land was without merit. Needless to say, Hotovely's message was scorned on the left as primitive zealotry. "Her remarks raised eyebrows among many in the audience," the Israeli newspaper Haaretz reported. One diplomat said his colleagues "were in shock" at the suggestion that they should cite the Torah when advocating for Israel abroad. Diplomacy is not Bible class. Yet why should Israel and its envoys shrink from making the fullest defense of Jewish rights in what was always the Jewish homeland? Though modern Zionism didn't arise as a political movement until the 1800s, the land of Israel has always been at the core of Jews' national consciousness. Even during 19 centuries of exile, Jewish life in Israel (renamed "Palestine" by the Romans) never ceased. In all those years, no other people ever claimed the land as their country, or built it into their own nation-state. Jewish sovereignty wasn't regained by downplaying the historical and religious bonds linking the Jews to the land. World leaders and opinion-makers didn't regard those links with patronizing disdain; many found them intensely compelling. In 1891, alarmed by reports of Jews being massacred in Russia, hundreds of prominent Americans signed a petition urging the restoration of Palestine to Jewish rule. "According to God's distribution of nations it is their home, an inalienable possession from which they were expelled by force," declared the petition, among whose signatories were the chief justice of the Supreme Court, the speaker of the House of Representatives, future President William McKinley, and scores of influential industrialists, bankers, educators, and journalists. (One of them was Charles H. Taylor, the first publisher of the Boston Globe). Twenty-five years later, when Britain famously committed itself to "the establishment in Palestine of a national home for the Jewish people," its motives were not only strategic and pragmatic, but religious. Prime Minister David Lloyd George and Foreign Secretary Arthur Balfour spoke feelingly of Jewish history. "I could tell you all the kings of Israel," Lloyd George said, recalling his school days, "but I doubt whether I could have named half a dozen of the kings of England." President Woodrow Wilson, whose father was a Presbyterian minister, also endorsed the Zionist cause. "To think," he later exclaimed, "that I, the son of the manse, should be able to help restore the Holy Land to its people!" Still more enchanted with the revival of Jewish governance in the Jewish homeland was Harry Truman, whose lifelong study of the Bible strengthened his conviction that the Jews had a legitimate historical right to Palestine. 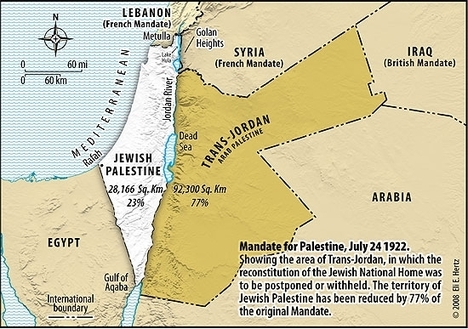 When the League of Nations set the terms of the Mandate for Palestine in 1922, it unanimously recognized "the historical connection of the Jewish people with Palestine" and the justice of "reconstituting their national home in that country." The immemorial Jewish bond with the land is even enshrined in international law. When the League of Nations set the terms of the Mandate for Palestine in 1922, it unanimously recognized "the historical connection of the Jewish people with Palestine" and the justice of "reconstituting their national home in that country." It was essential, wrote Winston Churchill at the time, to stress that the Jews were "in Palestine as of right and not on sufferance," and that the Jewish national home there "be formally recognized to rest upon ancient historic connection." Israel has gained nothing from its unwillingness to vigorously assert the Jewish claim to the land as a matter of historical justice and biblical legitimacy. It has only made it easier for its enemies to promote a false narrative of Zionist aggression and illegal occupation. 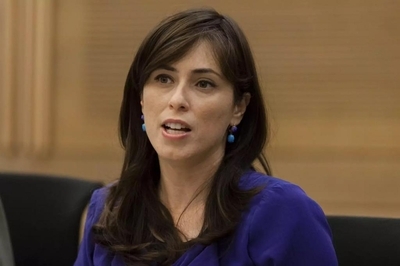 Hotovely may have "raised eyebrows" in exhorting Israel's diplomats to focus unapologetically on Jewish rights and history, but the record is clear: Those are the arguments that have always gained the most traction. To repeat: Diplomacy isn't Bible class. But the strongest case for Israel is rooted in something more transcendent than security. Even now, according to the Pew Research Center, 44 percent of American adults — and 55 percent of American Christians — believe that Jews have a God-given right to the land of Israel. A backward superstition? On the contrary. The Jewish nation's ties to its homeland are an enduring element of the human story, and an asset that Israel underrates at its peril.